It was hard to get up early and get ready for work. 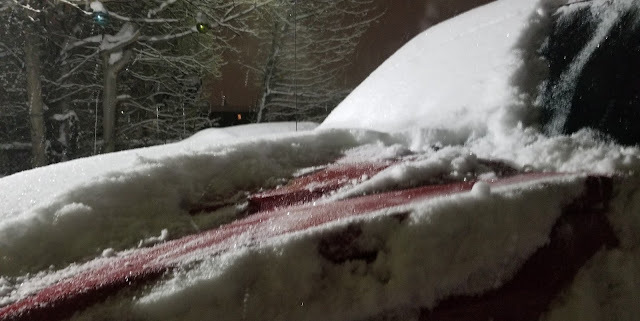 And as I walk toward my truck, I saw it was covered of snow about an inch or so. 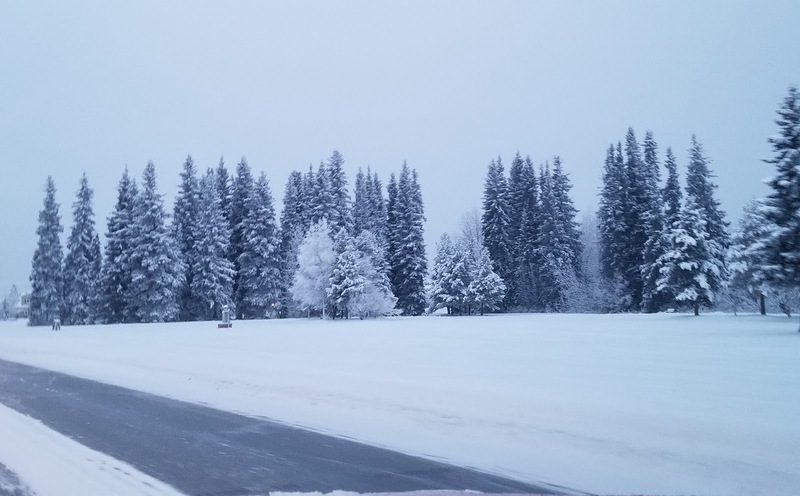 The road was a little bit slick but the snow covered trees was beautiful. I love driving around and seeing snow white covered tress.